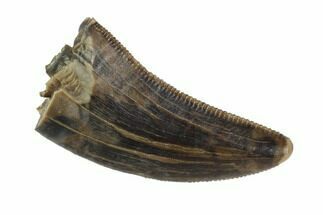 FossilEra has a wide selection of real dinosaur teeth for sale. 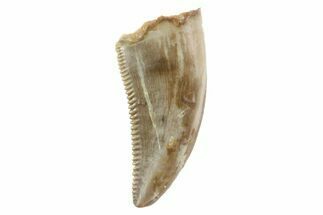 We guarantee the authenticity of the teeth that we sell and openly disclose any repair or restoration. 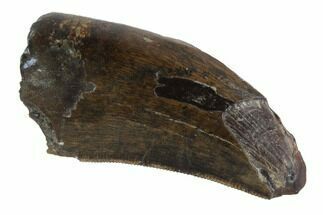 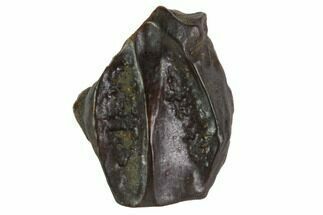 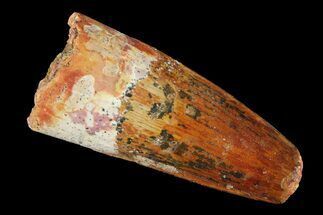 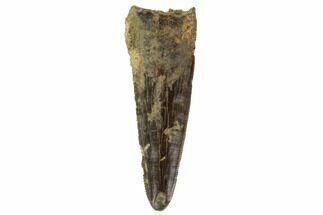 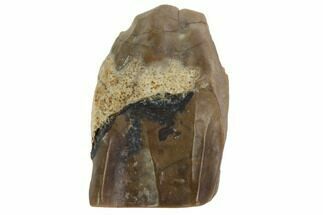 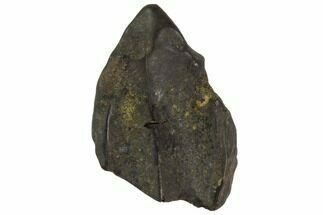 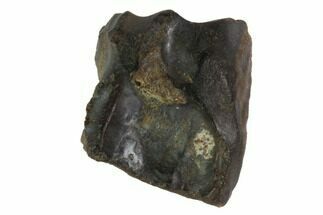 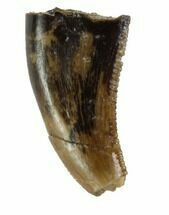 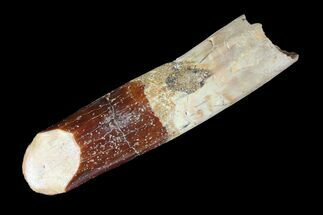 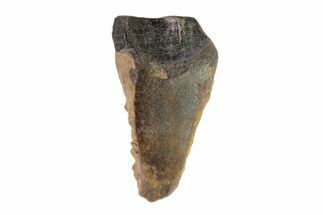 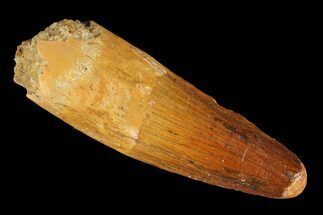 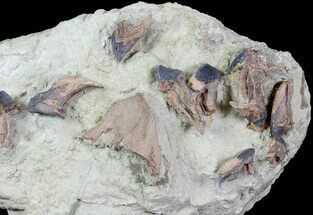 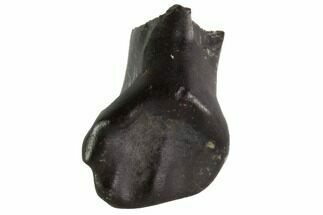 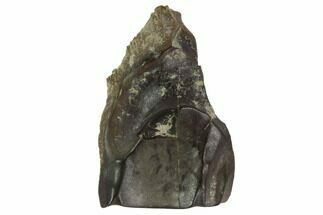 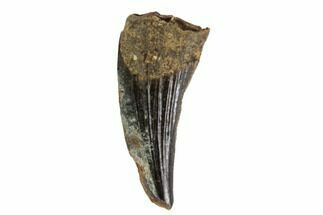 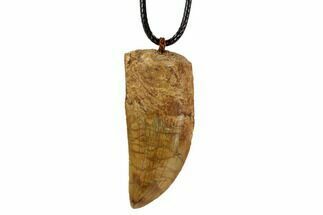 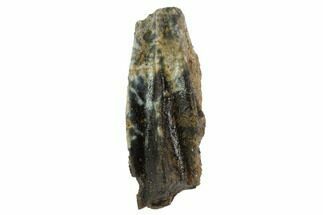 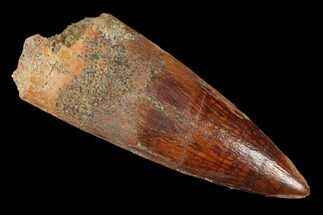 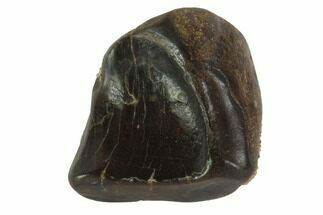 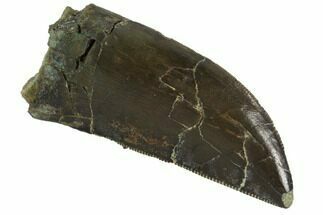 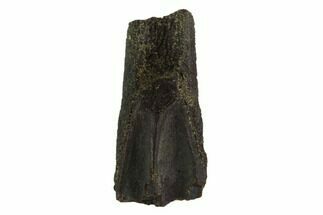 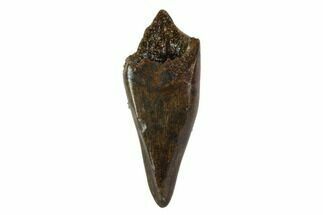 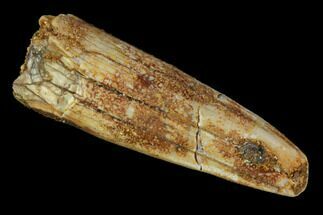 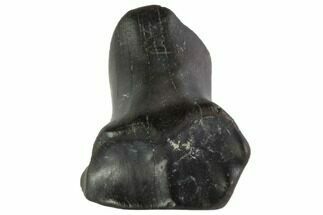 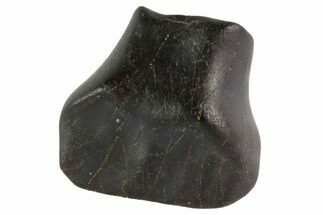 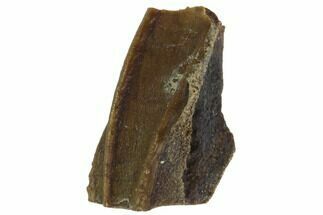 All of our dinosaur teeth for sale on FossilEra have been legally collected and can be legally sold. 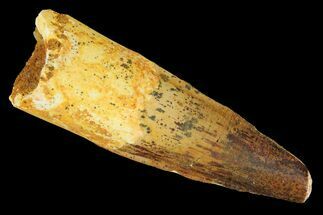 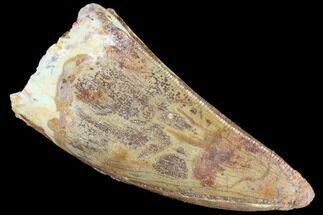 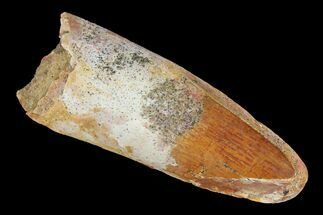 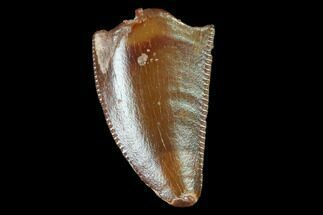 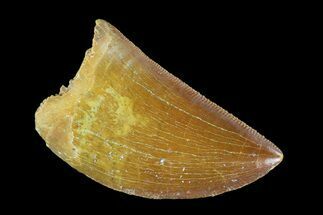 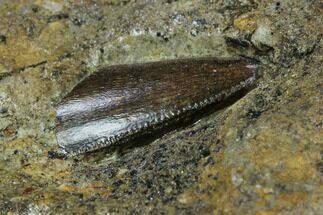 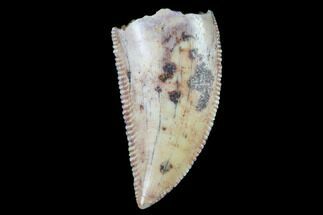 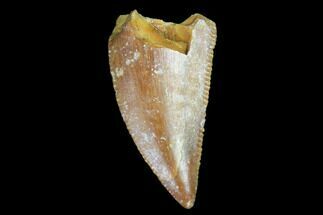 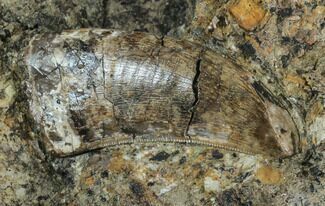 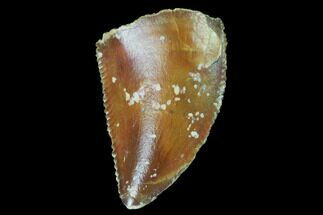 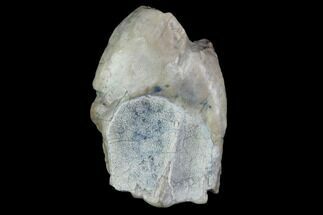 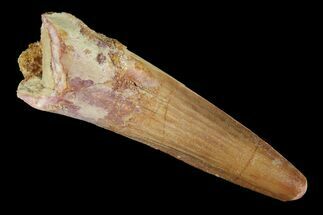 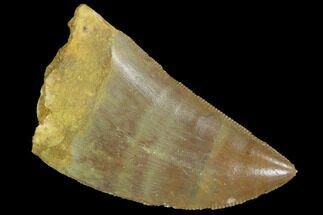 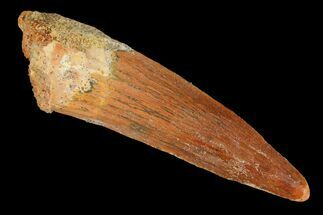 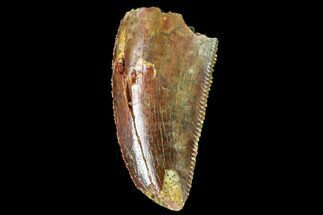 Fossil dinosaur teeth tend to be much more common than claws or other bones. 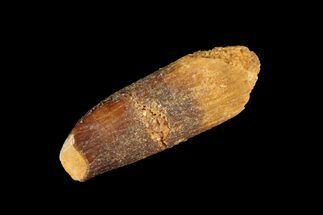 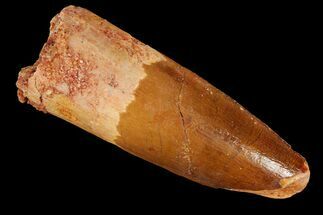 Not only did they have lots of them, but they shed their teeth during their lifetime and the material that makes up the teeth is more durable than bones. 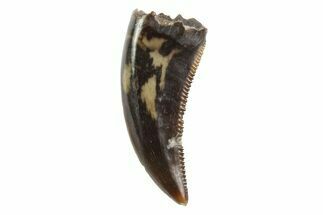 Dinosaurs replaced their teeth during their lifetime as they grew or became damaged. 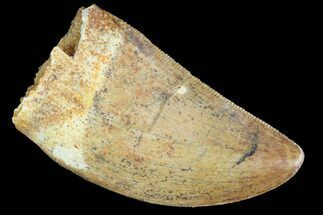 Recent studies have suggested that some sauropods could go through a set of teeth monthly. 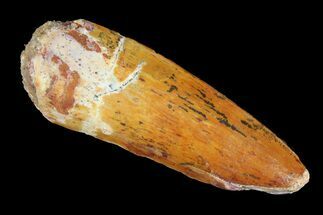 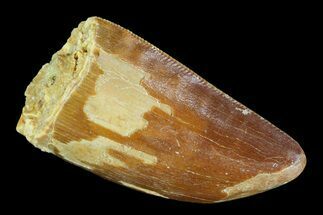 The number, size and shape of dinosaur teeth varied widely depending on what the dinosaur ate. 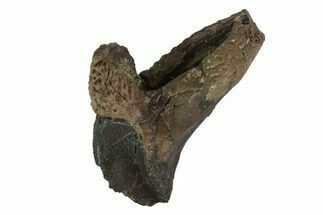 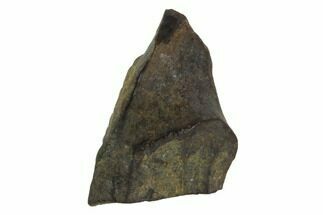 Sauropods has small peg-like or spoon-shaped teeth for stripping foliage which meat-eaters had sharp, pointed teeth for tearing flesh or crushing bones. 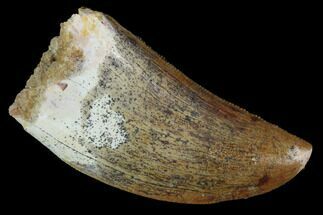 The amount of teeth a dinosaur had varied widely. 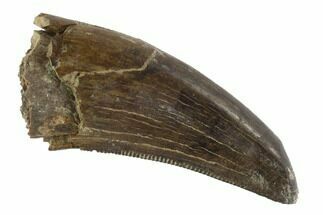 T-Rex had about 50-60 teeth while Hadrosaurs may have had more than 900 teeth in their mouths. 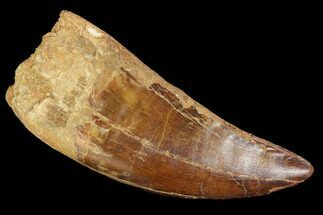 T-Rex had the largest known teeth which could measure over 10 inches in length. 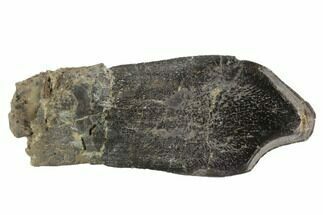 About 2/3 of that length was the root though and would not have been exposed in it's jaw. 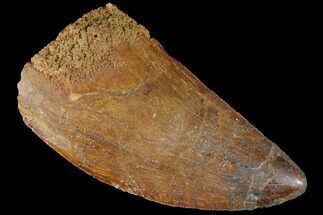 Uninterupted teeth refer to dinosaur teeth that had not grown in and were still inside the jaw. 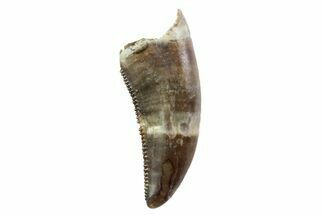 Uninterupted teeth would not be worn because they had not yet been used. 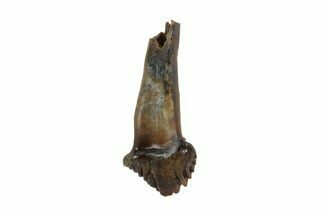 Rooted teeth are teeth that still have the roots attached. 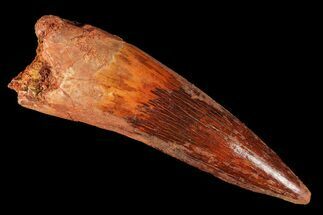 These are both much more rare than shed teeth, which the dinosaur shed during it's lifetime.